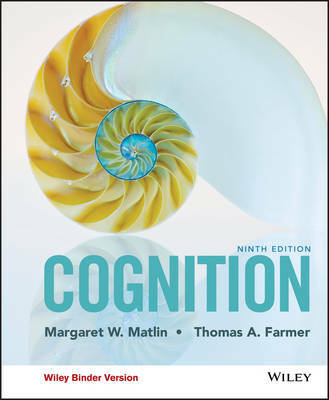 Author(s) Matlin, Margaret W.; Matlin, Margaret W.; Farmer, Thomas A.; Farmer, Thomas A.
Margaret Matlin and new co-author Thomas Farmer s Cognition demonstrates how cognitive processes are relevant to everyday, real-world experiences, and frequently examines how cognition can be applied to other disciplines such as clinical psychology, social psychology, consumer psychology, education, communication, business, medicine, and law. The 9th edition continues to relate cognitive topics to applications in everyday life. This edition is fully updated with research and additional anecdotes. It also includes more research on neuroscience. This text is an unbound, three hole punched version.